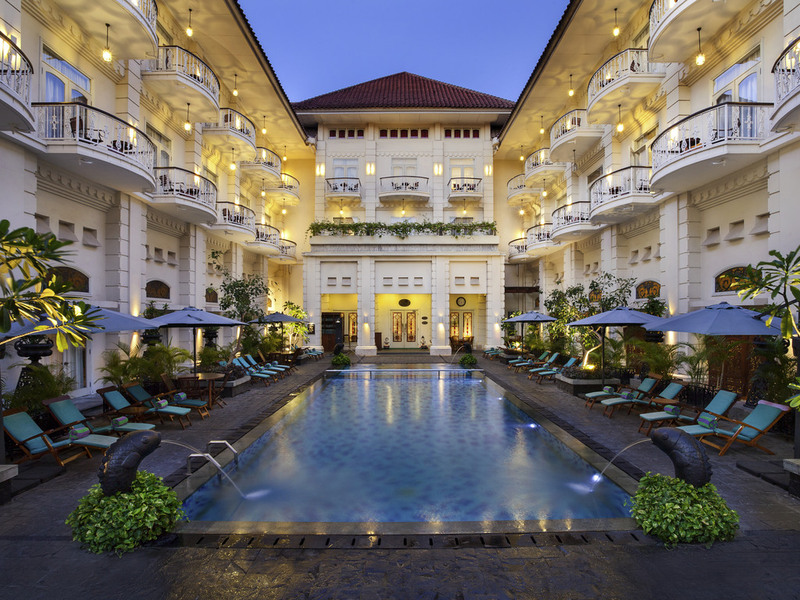 The Phoenix Hotel Yogyakarta welcomes you with the luxury of another era. You will be immersed in a unique heritage boutique hotel and experience "Memorable Moments" from your very first step in the hotel. The best choice to discover the charm of Yogya. Prime city center location, near Tugu and Malioboro, the iconic shopping street. Rooms with balcony overlooking the magnificent pool. Complimentary cultural activities such as Jamu Class,Yoga and Hotel Tour. Unique check-in moment with our welcome drink and traditional local snacks. Located next to the swimming pool, in an open-air courtyard. Indonesian, Chinese and Western cuisine are available. iki gece konakladım,gayet memnun kaldım ancak odaların renovasyona ihtiyacı var.